Ok, I’ve 100% done some crap like poor Poco… just not climbing mountains. Oh, I am SO doing this to my players someday. 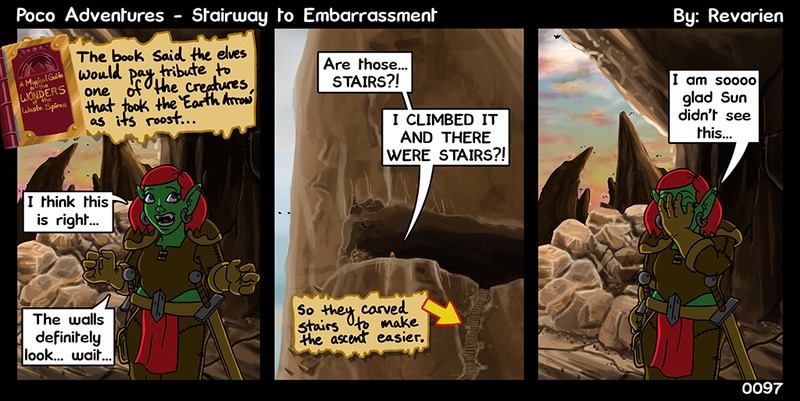 Considering how steep the stairs must be at that angle, climbing was probably easier.